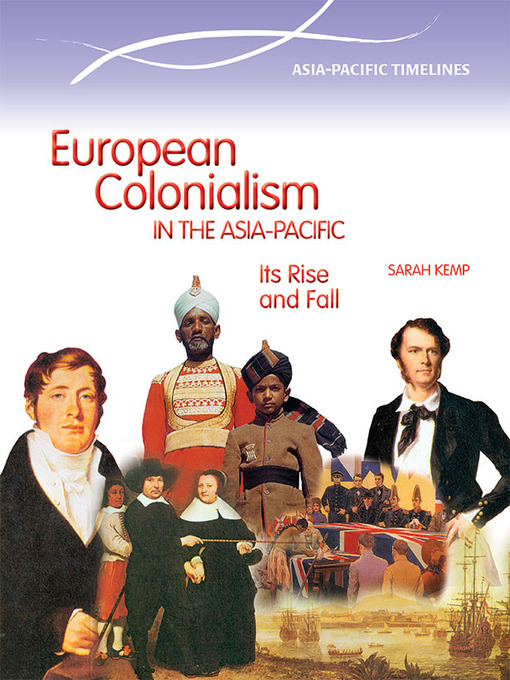 From the 1500s to the 1900s the peoples, nations, kingdoms, sultanates and tribes of the Asia-Pacific were seen as fair game for colonialisation by European empires. From tiny Pacific islands like Niue to the vastness of Australia and India, almost nowhere was immune from the attention of European explorers, traders and missionaries. This book shows how colonialism began in the pursuit of trade by the Portuguese, and expanded into a rush for territory that peaked in the 19th century with Britain ruling over a vast territory, taking what was seen as 'civilisation' to these ancient lands. It demonstrates how peoples were subjugated, oppressed and manipulated to the needs of European trade and commerce; how a tiny minority of Europeans could control hundreds of millions until the oppressors themselves were humiliated by World War II. This is the story of the Portuguese, Spanish, Dutch, French and British empires — their rise to grandeur and their almost complete demise.